A mesh of the North Carolina and Virginia region is produced by ADCIRC. 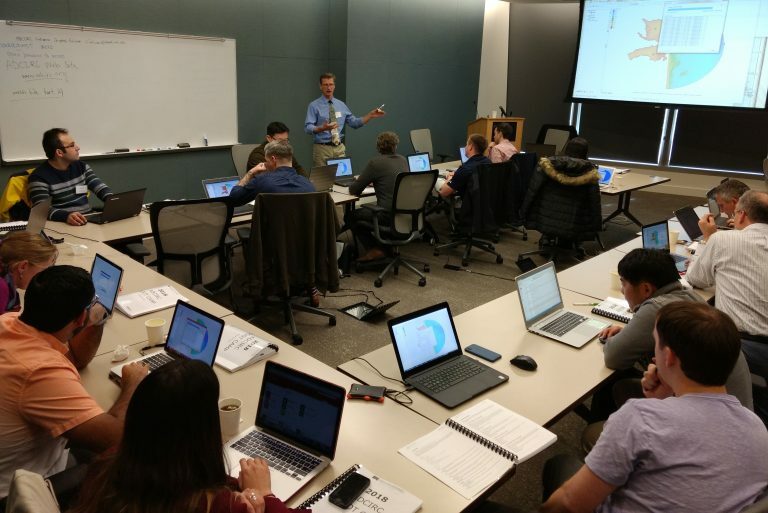 The ADCIRC modeling community will gather this spring for the 2019 Users Group Meeting to share experiences, discuss, plan and build capacity for coastal ocean modeling. The 2019 ADCIRC Users Group Meeting will be held on May 20-21, 2019, at the US Army Corps of Engineers Coastal and Hydraulics Lab (CHL) at the Engineer Research and Development Center (ERDC) in Vicksburg, Miss. This year’s hosts are Chris Massey and Mary Cialone of CHL. Though typically held in conjunction with the ADCIRC Boot Camp, this year’s Users Group Meeting will be a standalone event. Two Boot Camp events will be held in 2019 – the Texas ADCIRC Week from April 8-12, 2019, in Austin, Texas, and in November in Florida (details will be published at a later date). The Users Group Meeting will focus on the latest and greatest ADCIRC features and applications. Participants will discuss gaps and opportunities with new ADCIRC use cases. Student attendance and participation are strongly encouraged. Other components of the event will include the ADCIRC Community Awards, given each year to users who answer community questions, write documentation and software for ADCIRC or otherwise contribute to the modeling community. Attendees can nominate an ADCIRC Man and Woman of the Year, which will be voted on at the event. The event will also include a session on the “ADCIRC Roadmap,” a vision of how the modeling software will be used in future years, and a tutorial on ADCIRC testing through GitHub. To learn more about the event, travel, lodging and to register, visit http://adcirc2019.eventbrite.com. Pre-registration is required for all attendees, and registration is required by March 31, 2019, to secure a 20-minute presentation time slot at the meeting. Dr. Jason Fleming leads a session at the ADCIRC Boot Camp during the 2018 ADCIRC Week. 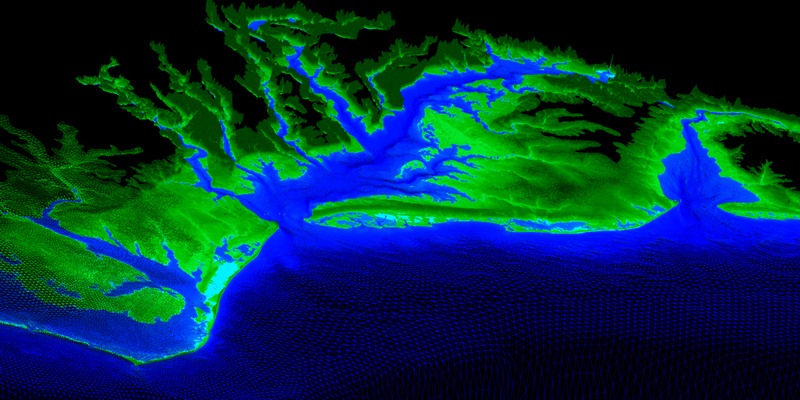 ADCIRC, short for the Advanced CIRCulation model, combines information on tides, river flows, wind, atmospheric pressure and surface waves to predict the response of the coastal ocean, including when, where and to what extent storm surge and flooding will impact a coastal community, often with greater precision than other available models. Results are made publicly available on the Coastal Emergency Risks Assessment (CERA) website. Several Coastal Resilience Center researchers involved in ongoing projects are continuing to improve ADCIRC, by adding new model inputs, such as precipitation, and decreasing the computer power needed to run simulations. International participants in ADCIRC Week who are required to obtain a visa to travel to the United States are strongly encouraged to apply for the visa as early as possible. Visit the U.S. State Department website to get details on visa requirements. A supporting letter for visa applications will be provided to international workshop participants upon request. U.S. citizens are asked to confirm their identification has not expired, as it will be needed to enter the ERDC facility. For foreign national participants, ERDC requires submission of information about each foreign national participant before April 1, 2019. Find details and contact information on the registration page.